Australian ElectroPopster Chela is back with a new Single. 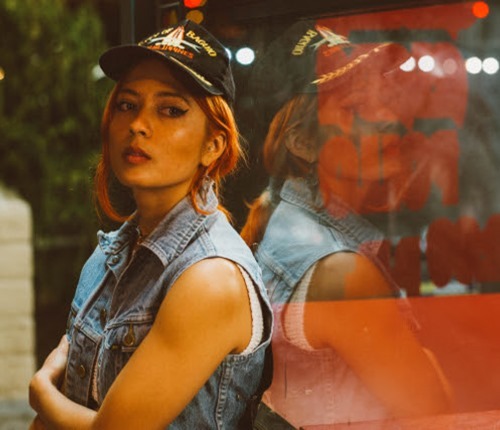 Having got on-board with IHC 1NFINITY, the new label from Franki Chan’s IHEARTCOMIX media empire, Chela looks poised to blow up in America where she’s been putting in some serious gigging time since here releases with Kitsuné. Handful Of Gold is Chela’s most self-assured release to date. Starting proceedings with some glorious synth noodling (that we could stand to hear some more of!) Handful Of Gold swiftly launches into a post-Tropical ElectroPop monster. Peppering the track with very early 80s references amongst contemporary poolside Disco DNA, Chela delivers something that effortlessly straddles the line between classic Pop and dancefloor mayhem. These slick beats are, of course, topped with Chela’s unique, tongue-in-cheek style; being the thing that really sets her apart from her contemporaries, she’s injects her tracks with personality. Chela’s Handful Of Gold is out now.